Texas abortion case: Supreme Court will hear Whole Women's Health. 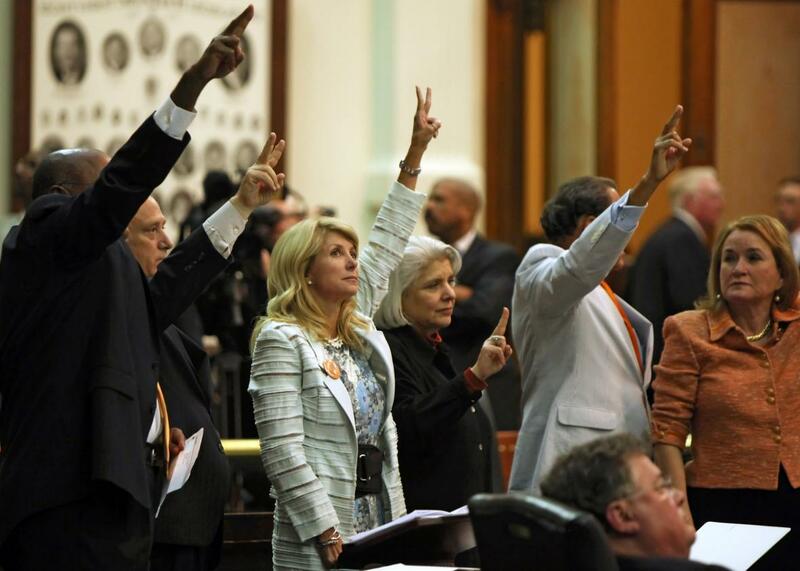 Then–state Sen. Wendy Davis filibustering the Texas anti-abortion bill, which the Supreme Court will now review. On Friday, the Supreme Court agreed to review a draconian Texas abortion law that could shutter more than half of Texas’ remaining 18 abortion clinics. The law—famously filibustered by then–state Sen. Wendy Davis—would require clinics to meet stringent regulations unrelated to women’s health, including exacting standards for doorways and ventilation systems. It would also force abortion providers to obtain admitting privileges at nearby hospitals—a challenge in Texas, where some hospitals refuse to grant such privileges specifically to prevent doctors from being able to perform abortions. Now the Supreme Court will have a chance to decide for itself whether the law interferes with women’s constitutional rights. Abortion opponents have reason for optimism: Justice Anthony Kennedy—who everybody agrees is the swing vote in this case—has only once voted to strike down an abortion law. (That statute required women to receive spousal consent before obtaining an abortion.) Most recently, Kennedy upheld the constitutionality of a federal later-term abortion ban, writing the government may need to protect women from obtaining the procedure lest they later come to “regret their choice to abort the infant life they once created and sustained.” On the other hand, Kennedy voted to put the Texas law on hold while the court considered it—a hint that he may believe the law violates the “undue burden” standard which he helped to create. The justices will hear arguments in the case within the next few months and hand down a decision by June.